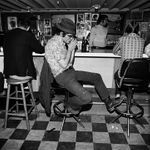 In conjunction with the Texas Book Festival, Boston-based photographer Henry Horenstein will exhibit a selection of works from his monograph Honky Tonk: Portraits of Country Music at Grayduck Gallery. 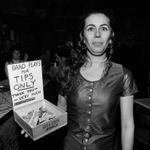 Published by W.W. Norton & Co. this year, Honky Tonk is a collectionof black and white photographs captured between 1972 and 2011 that document the changing world of traditional country music and its fans. 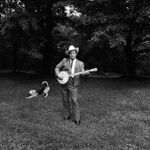 At once photographer and ardent music fan, Horenstein covers it all—taking us to bluegrass festivals, country music parks, dance halls and honky tonks. 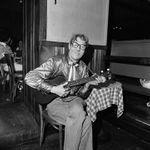 He captures country queens Dolly Parton and Loretta Lynn, favorites Jerry Lee Lewis and Waylon Jennings, late nights at the famous Tootsie’s Orchid Lounge in Nashville, backstage at the Grand Ole Opry, and decades of colorful and devoted fans. Rich with character, culture and story, Honky Tonk is a piece of Americana we are grateful Horenstein has preserved. 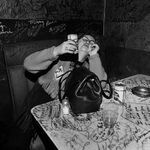 Horenstein’s diverse photographic career includes documentary work of various American sub-cultures, portraiture, abstraction, and landscape. 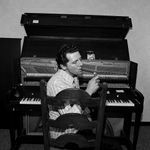 Originally set to accomplish a PhD in history and embark on an academic career, the documentary work of photography greats Robert Frank and Brassai guided him to the camera. Horenstein entered in the Rhode Island School of Design (RISD) and studied under Harry Callahan and Aaron Siskind, completing his MFA in 1973. He is the author of over 30 books, including the monographs Show, Animalia, Close Relations, Humans, and Racing Days, as well as some of the most widely used textbooks in the field, including Black & White Photography, Beyond Basic Photography, and Digital Photography. He is a professor of photography at RISD and lives in Boston, Massachusetts.